Amino acid that is present in the Tea plant. Theanine. It provides 300mg of Theanine per daily dose. Favours relaxation. Improves cognitive functions and reduces blood pressure. Increases levels of serotonin and dopamine. L-theanine is an amino acid, found in green tea, that stimulates the alpha waves from then brain, making it have powerful relaxing properties. It is said that taking L-theanine is as relaxing as doing meditation. It increases energy without causing any disturbance, provides calm without sleepiness and improves concentration and good humour. There are many studies on the multiple health benefits offered by green tea, many of them related to theanine, a single neurologically active amino acid. L-theanine dosage: how much theanine should we take? L-theanine is ideal for people who are under stress, providing calmness without causing sleepiness or tiredness. We are exposed to many stress factors In our daily lives. A lack of nutrients is made worse by an inadequate diet, lack of sleep and other similar circumstances that can result in physical and mental health problems. As a result there are now more and more people resorting to drugs in the search for tranquillity and to combat stress. However, medications have many side effects that can be dangerous to health. Wouldn't it be better to have a natural product with no side effects? Many people have already discovered L-theanine, which is gaining more popularity every day because of its great benefits in fighting this hated stress. L-theanine (also called theanine) is a free amino acid, derived almost exclusively from green tea and which represents approximately 1 to 2 percent of the weight of the dry tea leaves. This is the amino acid that predominates in green tea leaves and which gives it its distinctive "umami" taste, known as the "fifth taste" (in addition to the traditional four: sweet, salty, acid and bitter). The soothing effect of green tea may seem contradictory considering that tea contains caffeine, which is a stimulant. But this is explained by the fact that the amino acid theanine counters the stimulatory effect of caffeine in the nervous system. Clinical studies conducted on a number of people have revealed that around 30 to 40 minutes after drinking the tea (L-theanine) two different mechanisms that produce relaxation are activated. First of all, amino acids that stimulate the brains alpha waves are activated, producing a deep relaxation and causing a state of awareness similar to meditation. Secondly, theanine is involved in the formation of gamma-aminobutyric acid, an inhibitory neurotransmitter (GABA). GABA affects the levels of two other neurotransmitters, dopamine and serotonin, causing a deep relaxing effect. The brain emits electrical impulses (brain waves) that can be measured on the surface of the head. The dominant frequency of these pulses is related to different mental states and activities. Brain waves can be divided into four different categories (delta, theta, alpha and beta), each of which is associated with a particular state of mind. Delta occurs in the deepest stages of sleep. Theta occurs in the light sleep and sleepiness phase. Alpha occurs when we are awake and have a relaxed and effortless attention. Beta occurs in stressful situations, when there is difficulty concentrating and paying attention. It is known that alpha brain waves are present in states of relaxation, so they are used as relaxation indicators. In one study the topography of observable alpha brain waves from the back side of the top of the head was evaluated (occipital and parietal regions of the brain) after 40 minutes of ingesting between 50 to 200 mg of theanine. In another study it was found that the intensity of the alpha waves depended on the dose of theanine ingested (a 200mg dose caused a significant increase in comparison with the control group), which was still observable after 30 minutes. L-theanine has a significant effect on the discharge or reduction of neurotransmitters such as endorphins, dopamine and serotonin, improving memory and learning capacity. Theanine may also affect emotions, due to the increased release of dopamine. Theanine regulates the concentration of serotonin in the brain, synthesising it and improving brain function. Blood pressure regulation depends in part on the catecholaminergic and serotonergic brain and peripheral nervous system neurons. Studies in spontaneously hypertensive rats (SHR) showed impressive antihypertensives effects with theanine. In the clinical study it was observed that blood pressure reduction depended on the dose that was administered. A more significant reduction was obtained with a higher dose of theanine. L-glutamine was used as one of the control agents. Although L-glutamine has a chemical structure similar to theanine, it was found that it caused no effects on hypertension. Preliminary studies had shown that L-theanine may enhance the anti-tumour activity of some chemotherapeutic agents (doxorubicin and idarubicin) and that it relieves some of the side effects of these drugs. It seems that it manages to increase the inhibitory effect of these drugs on tumour cells, although the exact mechanism that causes it is not known. At the same time, theanine also reduces the oxidative stress caused by these substances in normal cells. This is possibly due to the antioxidant effect of theanine. Theanine also reduces the lipid peroxidation or low density oxidative degradation of (LDL) lipoproteins. Stress and anxiety weaken the balance of hormones, affecting our well-being, physical and mental performance, and may even have an impact on our general health and our lives. Stress interferes with the immune system and makes us more vulnerable to infections, and may also trigger depression. In 1998 sales of anti-anxiety drugs reached $ 700 million and sales of anti-depressants amounted to a total of $ 5 billion. People suffering from stress can relieve many of their adverse symptoms with theanine. Theanine does not cause sleepiness, since this amino acid does not produce theta waves in the brain. 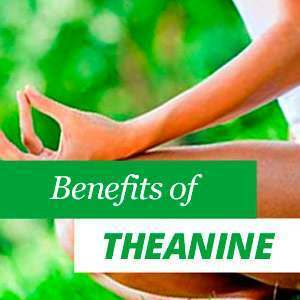 Theanine provides relaxation without any other additional effects. Theanine also can be used as a nutritional supplement in other areas, for instance in reducing the side effects of caffeine caused by excessive consumption of coffee, soft drinks and other substances. It is an amino acid. Animal studies have shown that it has no side effects or toxic components. Theanine produces its effect in about 30 minutes. In Japan it is considered to be an example of the fifth taste - along with sweet, sour, salty and bitter. The presence of theanine explains why green tea is better for concentration than coffee. Theanine reduces the energy boost, but increases the concentration. It increases brain GABA neurotransmitter levels, resulting in a good state of mind. As you get older the levels of GABA decrease, so theanine helps to increase them to more youthful levels. It increases the levels of serotonin and dopamine, which provides a feeling of well-being, peace and concentration. Theanine has anti-cancer and antioxidant properties. Theanine protects the immune system, lowers blood pressure and helps to reduce stress. Unlike medicines and dangerous drugs, theanine is non-addictive. To counteract the effects of caffeine in the nervous system when consuming large quantity of this stimulant. The majority of clinical trials and information on theanine come from Japan. It is known that L-theanine is absorbed by the small intestine in an active transport process combined with sodium. It passes through the blood-brain barrier, as can be seen by the mental effect that it causes. 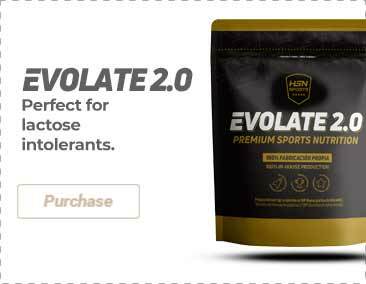 Theanine competes with the methionine amino acid group (Leucine, isoleucine and valine) to be absorbed by the digestive system and the brain. However, the concentrations of amino acids remain unchanged by the simultaneous intake of theanine. Theanine is extraordinarily safe. In 1964, the Ministry of Social Health in Japan approved theanine for unlimited use in all foods, with the exception of food intended for children. Theanine is meant to be a physical and mental relaxant that does not cause drowsiness. Although there is no special time when one should take theanine, its effect is most notable if taken at the first sign of stress. According to clinical studies, theanine is most effective at a dose of 50 to 200mg. The effect is noticeable after 30 minutes and lasts for 8-10 hours. People with a high level of stress can increase the dose of 60 mg of theanine to 100mg, administered over six hours. The FDA recommends a maximum dose of 1200mg per day, although the reasons for this limitation is not clear, since theanine is completely safe. Theanine has no known adverse reactions or interactions with other medications. The effect of theanine is not modified by diet, and can be taken at any time as needed. Theanine has a mild flavour and the capsules can be opened and their contents dissolved in water. Although theanine is considered safe for pregnant or lactating women, in these cases it is advisable to first consult a doctor before taking it.